Which Shower Valves Are The Best Choice For Your Bathroom Design? When choosing a shower for your bathroom you probably never imagined that your shower valves and shower heads would be such a difficult decision, there are so many options available, so how do you know which shower valves are the right choice for you design? Basically there are three shower valve options available, the exposed, the dual exposed and the concealed. The exposed shower valves are very stylish and blend in beautifully with any bathroom design. These are long valves that have a dial on either end. The valve can be cylindrical or square depending on your preference. The one dial will manage the water pressure while the other manages water temperature. The advantage to this is that you can control your temperature, there is nothing worse than playing around with two taps trying to find the desired temperature when showering. The dual exposed shower valves also give you two controls, one for pressure and the other for temperature but these shower valves are usually a round valve that has a lever or cross head tap that controls the pressure and behind that you’ll find another lever to manage temperature. These shower valves can be a little bulky, but they do look fantastic in any bathroom design. The concealed shower valves are my personal favourite and are the perfect choice for a modern bathroom design. These shower valves are a plate that mounts to the shower wall with either two or three knobs on the plate. 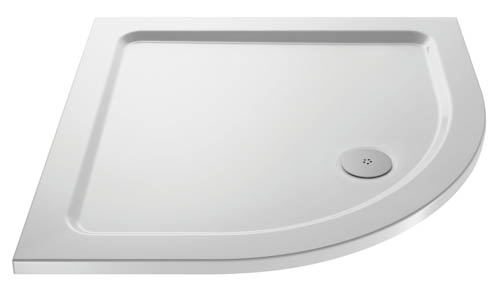 If you have chosen the plate with two knobs you can mount it vertically or horizontally with the knobs either next to each other or one below the other. One knob controls pressure and the other temperature, the same as the other thermostatic shower valves. If you choose the plate with three knobs you’ll have one knob to control temperature, one to control the pressure on your shower head and the third is used if you have a second shower head or shower jets in the shower. Whichever shower valves you choose for your shower remember to ensure they blend in with all your other bathroom items, such as your taps. You want to have the same style carried throughout the space leaving it with a picture perfect finish. When designing a modern bathroom the style needs to flow from the basin and taps to the shower and shower heads. Whether you have chosen circular designs or square, there is a large selection of shower heads to choose from, each one stylishly designed to enhance the modern bathroom with ease. These shower heads are large and circular in shape and come with a tubed arm that attaches the shower head to the wall at the height of your choice. 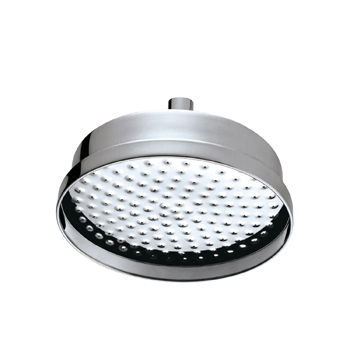 The advantage is that these shower heads have a swivel joint which enables you to direct flow, so you are always guaranteed of an enjoyable showering experience. 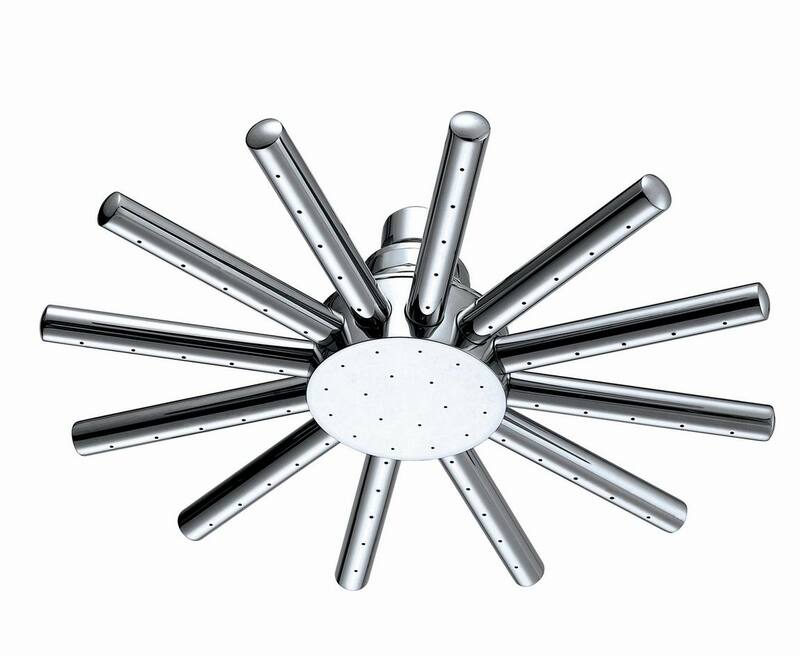 The stylish star shower heads have to be my favourite choice. 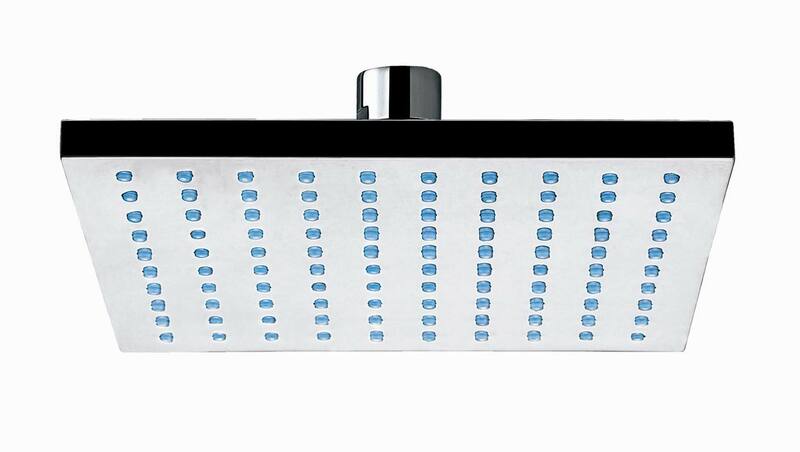 These are stylish and elegant in design and attach directly to your ceiling in the shower. Each arm of the star has holes for water flow offering superior water distribution and the swivel joint enables you to direct the water flow in your direction. These square shower heads are modern in design and work beautifully in an ultra-modern bathroom where you have chosen square fittings and fixtures. Again they fit to the ceiling of your shower with a swivel joint that allows you to direct the water flow in your direction. 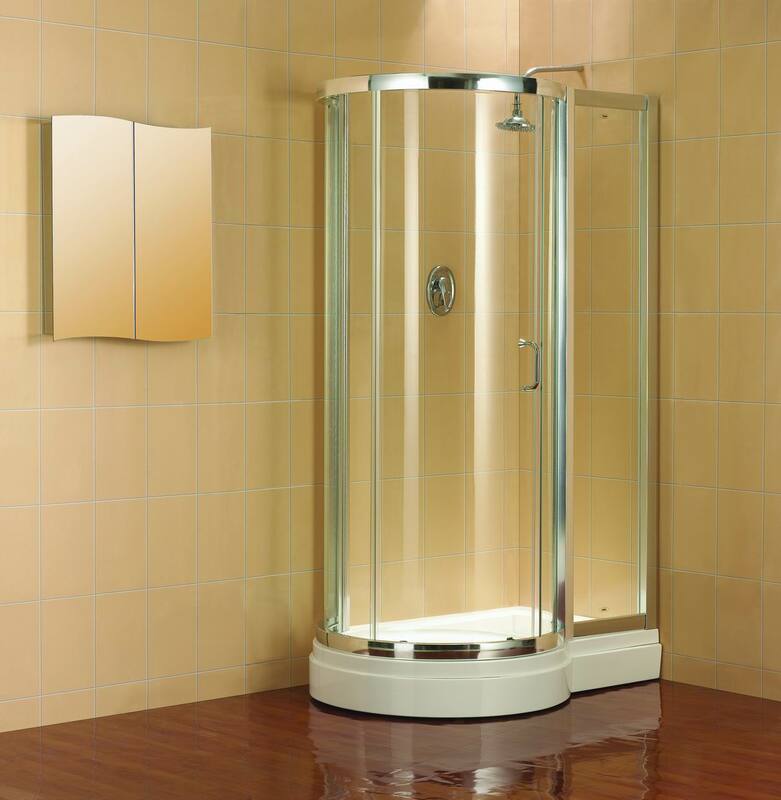 They offer great water distribution ensuring you have a wonderful shower. The round shower heads are perfect for modern bathrooms where you have already chosen circular fitting and fixtures. They are stylish in design and finished in shining chrome which blends in beautifully with your modern bathroom design. The swivel joint lets you direct water flow while these shower heads enhance your bathroom space. These shower heads are more of a traditional design, but still work beautifully in a modern bathroom with circular fittings and fixtures. 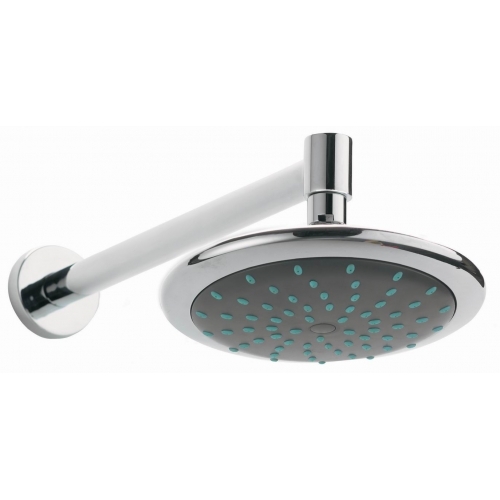 The rose shower heads fit to the ceiling of your shower with a swivel joint that lets you direct water flow. If you are looking at shower heads for a modern bathroom you can add extra luxury with shower jets, turning your shower into a space to be pampered and massaged as you shower. The shower jets also come in circular or square designs which can blend in with your new shower head and complement your bathroom design. Shower heads seem like such a trivial thing in the bathroom, they are there to wet you so you can shower. What could be more important than that? In fact shower heads have become an integral part of any bathroom design. They can make or break your bathroom design, they can add sophistication and style and they can offer an enjoyable showering experience at the same time. Your shower size will play a very important role when you are looking for the perfect shower heads. For smaller showers the modern fixed head shower heads with arm and swivel elbow or the contemporary shower heads with swivel elbow will work wonders in the space. Even though you are in a smaller shower area, everyone in your household will require the shower heads to face different directions. Some family members may require the shower heads to face straight down while others may need them pointing a little higher, these enable the entire family to enjoy their showering experience. Then there are the big boys of shower heads, those that offer a stylish and modern finish to any bathroom design and I believe look fantastic in walk in showers and larger shower enclosures. These include the stunning star head shower heads with swivel elbows, shower rose head with swivel elbow and the square shower heads with swivel elbows. These are masterpieces on their own and when blended in with your current bathroom design, can offer that perfect finish to the space that you can be proud of. I love big shower heads, the bigger the better. 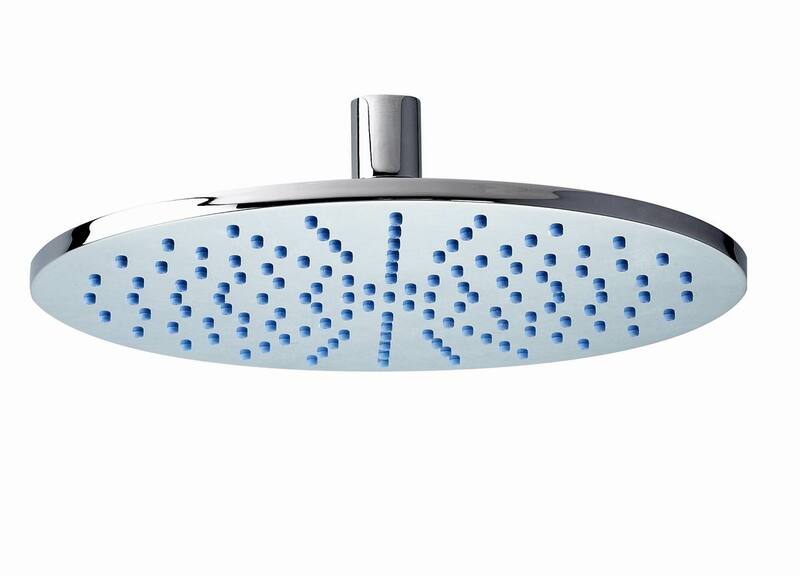 Having larger shower heads ensures that I can stand under my shower and have the water rush over me. Of course this isn’t always practical and the one bathroom I designed, which was compact could not enjoy the benefits of these shower heads, it would have looked out of place. The first step to choosing your shower head is to look at your current bathroom design. If you have square shaped taps in your basin and maybe your basin and toilet are square in shape, then choosing a stylish chrome square shower head can help enhance the space. The next step is to use the space you have available. Can you imagine a small corner shower with an enormous shower head? It would look completely wrong. Work with the space you have available and choose your shower heads according to that space without overpowering the shower area with a shower head.